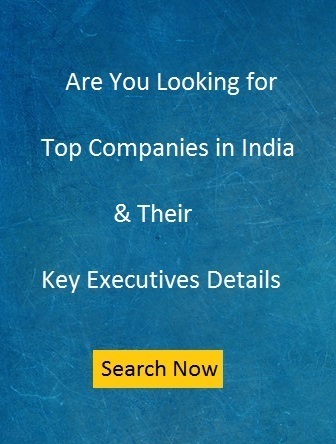 Looking for Chennai Companies Database ? Chennai economy is mainly based out in automobile, software services, medical tourism, financial services, hardware manufacturing. It is dealing into industries like textiles, apparels, petrochemicals. Software services is contributing a lot in the growth of Pune City. With in last few year, Chennai has became major place for business process outsourcing and electronics manufacturing. Some of the leading IT companies in Chennai are Redington India Ltd, A2Mac1 India Pvt Ltd, Accel Frontline Ltd, Bahwan Cybertek Pvt Ltd, Benchmark Softec Pvt Ltd etc. Chennai is referred as Detroit of Asia due to having huge percentage of India’s automotive exports. Many big automotive companies are having offices in Chennai including Renault, TVS Motor Company, Caterpillar, TI Cycles, MRF, Yamaha, Daimler, Enfield, Mahindra & Mahindra. Apollor tyres is having manufacturing plants in and around Chennai. Chennai is referred as the Banking Capital of India. It has emerged as leading center for Banking and Finance in the World. There are many prominent financial institutions in Chennai including Standard Chartered Bank, Allianz, Asian Development Bank BNP Paribas Fortis, Citibank, Dentsche Bank, Abu Dhabi Commercial Bank, Asian Development Bank, HSBC , Mitsui Banking etc. Chennai is major Industrial Hub. There are all types of companies in Chennai including MNC, SME, BSE Listed, Public Ltd and Private Ltd etc. Leading MNC companies in Chennai are Accel Frontline Ltd, AccSource KPO, Acurus BPO, Ahlers India, CEI, CEM Business Solutions etc. There are huge no of SME companies in Chennai from sectors including 1pointsize, 2d entertainment, 3Edge Solutions, A Bond Strands, ARS footwear are some of the SME companies in Chennai. The city has SME companies from all sectors. Chennai is major industrial hub in India. There are many big companies are located in Chennai. 5000+ employee companies in Chennai are AGS Health Pvt Ltd, Apollo Hospitals Enterprises Ltd, Ashok Leyland Ltd, Cognizant Technology solutions etc. How to Generate Sales Leads for your Recruitment Business?